Connect the Comet leaders didn’t have any hard news to report during their most recent quarterly meeting, but all evidence points toward growing momentum for the group. Perhaps the most obvious positive is that Cobb County’s government has listed a 3.4-mile Silver Comet Trail extension as part of a list of trail initiatives at CobbTrailPlan.com. The extension would bring the trail inside I-285 and nearly to Moore’s Mill Road in Atlanta. If and when CSX gets on board, the next step would be for Cobb County, potentially working in conjunction with the City of Smyrna, to identify a funding approach for the project, according to Meyer. Atlanta’s Department of Public Works would be responsible for the Fulton County portion of the connector. From the Cobb/Fulton County line, just three miles would link the Silver Comet to a northwestern portion of the Atlanta Beltline, opening access for bike riders to travel directly from Alabama right into downtown if they so choose. Connect the Comet members met Sunday, April 29 at Vinings Bank to discuss the latest efforts toward the ultimate goal of connecting the Silver Comet with the Beltline. 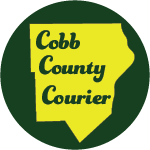 Some CTC members, including Cobb resident Roberta Cook, have been working toward that goal for over a decade. Everything appears to hinge on CSX, which is negotiating a new long-term rail lease with the state of Georgia, because the company’s unused rail lines constitute the most obvious connection between the Silver Comet and Beltline. 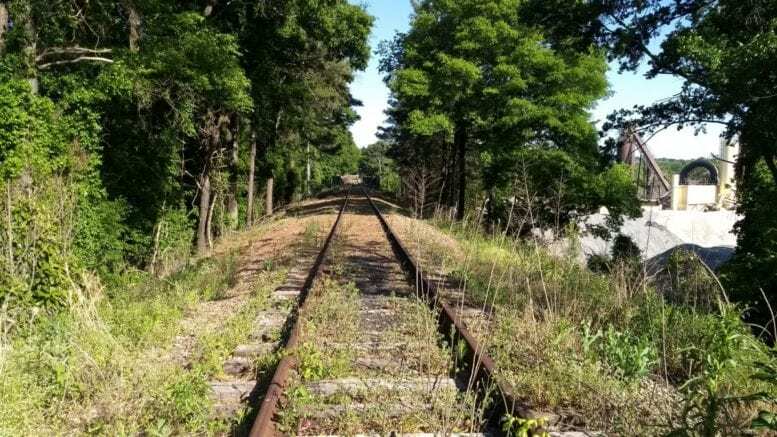 The lease runs through the end of 2019, but Burks hopes to see it renegotiated this year, with CSX granting access to the unused track needed to make a connection. Unfortunately, there was nothing solid to report during Sunday’s meeting. However, based on information he has received, Burks believes CSX may opt to continue to keep all of its tracks southeast of Plant Atkinson Road in operation, allowing for trail conversion only to that point. “The indications are that the right of way south of Plant Atkinson Road is off the table for a while and will be an optional acquisition in the future,” reads a portion of the agenda from Sunday’s meeting. If this is the case, the trail extension may need to reroute, potentially running alongside South Atlanta Road and/or connecting into other rail routes on the Fulton County side. That said, Burks told the group it’s a matter of “when,” not “if,” the Silver Comet meets the Atlanta Beltline. He feels the project makes too much sense and has too much support from a variety of sources to be stalled forever. Burks even mentioned to the group what its charge will be once the project is announced. There has been no vocal opposition to Connect the Comet so far, other than a general lack of communication from CSX. That’s likely to change once the connector becomes a reality and work starts on a trail running through several area neighborhoods. Connect the Comet is already in contact with homeowners associations to get the word out about the project through neighborhood “liaisons” and, hopefully, answer questions about it so residents aren’t caught off guard. In the meantime, the group is seeking volunteers for a variety of roles. Connect the Comet will participate in the June 10 edition of Atlanta Streets Alive. The group is also looking for volunteers to contact local state senators and representatives to show their support, and for a volunteer to manage Connect the Comet’s Facebook page. Connect the Comet’s next meeting will be held July 29, 4 p.m. also at Vinings Bank.